Toshiba has launched its new wearable fitness tracker dubbed as WERAM1100, which will last longer than the usual battery life of a fitness band. The wearable device is all set to go on sale from August 20 in Tokyo via online retailers like Amazon and Yahoo Shopping websites. Toshiba WERAM1100 Fitness Band The WERAM1100 boasts an integrated accelerometer which enables the wearable precisely to track your physical activities like steps taken, distance traveled and calories burned. 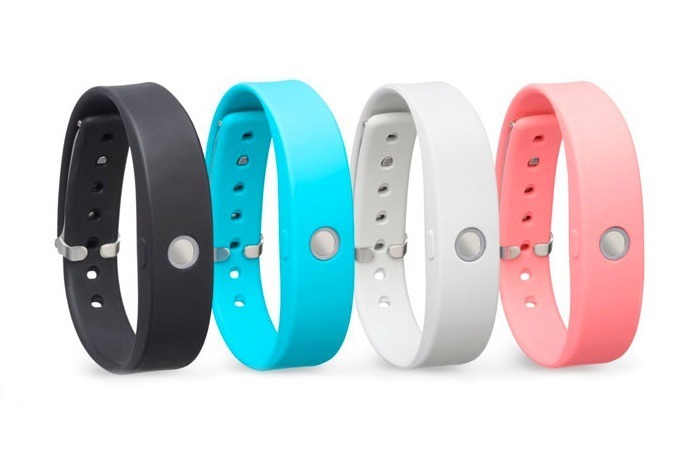 These are the basic functionalities of any fitness tracker, but this device can automatically track your sleeping patterns, unlike the Fitbit Flex, which needs a manual activation of sleep mode. That in turn allows it to accurately measure your sleep states, patterns and hours of sleep you get per day. You can also see a pictorial representation of your health data in terms of graphs, which is an easier way to understand and monitor the accumulated data. The wearable tech has a dedicated app which allows an easy synchronization of information with a smartphone via Bluetooth wireless technology (3.0/ 4.0) of Class 2 category. With Toshiba’s expertise in the signal processing technology, the company claims that its fitness tracker will lasts for two weeks, which will be varying according to the usage pattern and conditions of its consumer. The fitness band weighs only 27 grams as it will feel lighter than any usual wearable device. And also features an IPX5 and IPX7 certifications. It will be available in four color options, Black, Blue-green, Light gray, and Smoky pink. To buy this wearable tech, you need to shell out $132 from your wallet, which starts shipping from August 20. That being said; the Japanese electronics giant will be launching a cloud service where you will be able to store all your fitness data. It is unknown if this service will be available right away on the launch date, i.e. August 20, or later this month. Either way, once this service is ready you will be able to analyze the big data related to your health and list out the strength and weakness on which you need to work out.